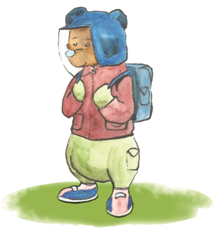 Thank you for investing in our Little Ted goes to school resource pack. It is very important to us that this pack meets your diverse needs, and so we would be delighted if you would take a few minutes to complete the following evaluation form, in order that we can continue to strive to deliver the best pack and supporting resources that we can. Many thanks for welcoming Little Ted into your school and in taking the time to provide us with your valued feedback.